In this zip-up fleece jacket your little one will be cozy and warm, not to mention stylish. 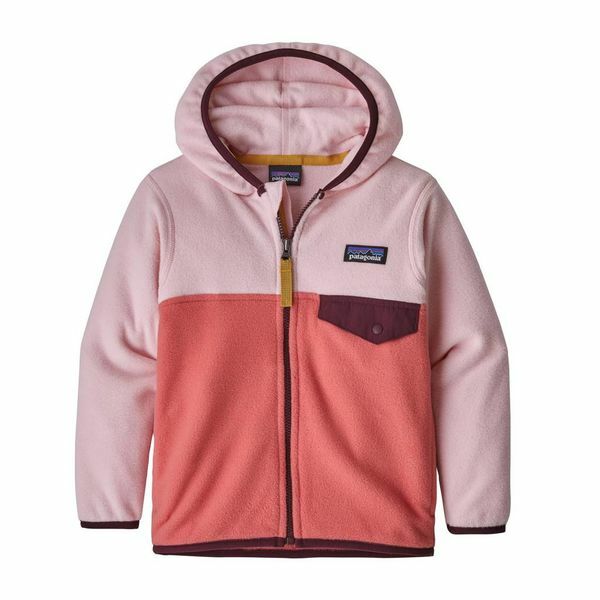 Patagonia's Baby Micro D® Snap-T® Jacket is made from 100% recycled microdenier polyester fleece that’s warm and quick-wicking. Spandex binding at hood, cuffs and hem provide a comfortable, snug fit. Full-length zipper with fleece wind flap and zipper garage for added comfort. Classic Snap-T® pocket with snapped nylon flap at left chest and two handwarmer pockets hold baby’s first treasures.